Structure Scan is a full service damage prevention company. 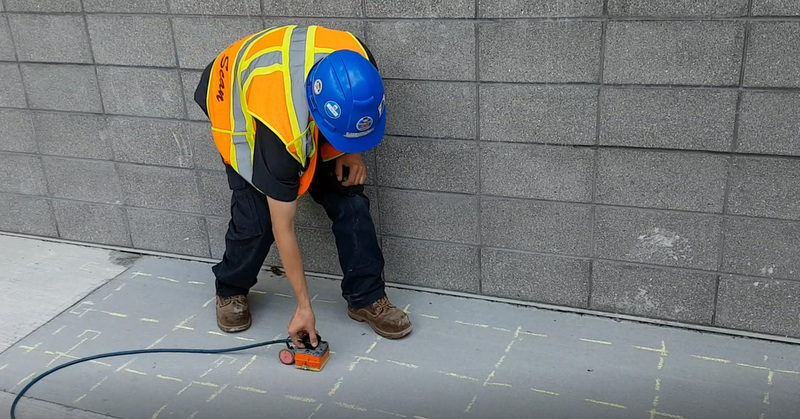 Qualified Ground Penetrating Radar (GPR) and Utility Locating Professionals. Structure Scan Inc. is a full service, qualified Damage Prevention company. We use non-destructive methods to efficiently gather data, inside or outside, without disrupting the work area. We serve building owners, plumbers, electricians, engineers, architects, project construction managers and general contractors. Whether you are in the planning phase, construction phase or post-construction stage, Structure Scan can help make decisions that will save you time and money. Our technicians are full-time, trained GPR technicians. We are COR, ISN, eRailSafe certified and an Accredited BBB member. We carry Errors & Ommissions insurance, $10 million commercial liability, $5 million commercial liability on all vehicles. We’re equipped to serve you in a timely fashion and we have backups if things don’t go as planned. We actively participate in improving the safety and knowledge of the people in our industry by serving on boards and program initiatives.